Our professionally trained, highly qualified installation team is able to install vehicle graphics, window displays, window frosting and perforated vinyl, standoff signage, retail and office signage. As 3M Preferred Installers, we are able to ensure your design is installed properly on any surface and will have long lasting results. Our installation services are available in house at our location or on location at your office. Full vehicle wraps are always such an amazing and cost effective way to build your brand, advertise your services, and deliver your message. 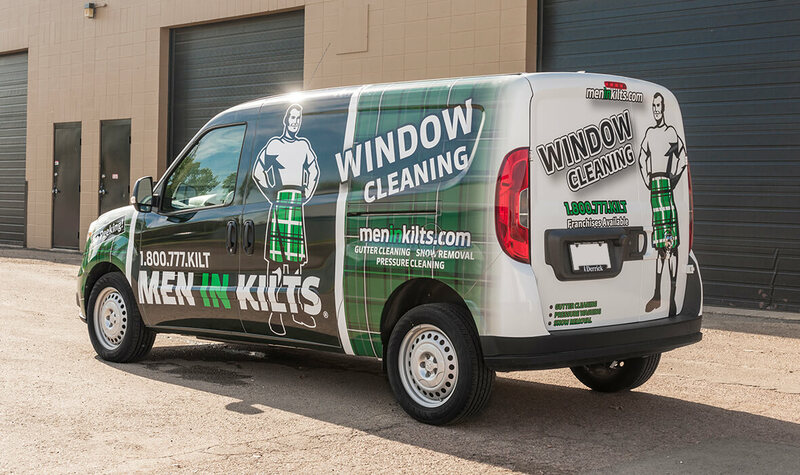 This unique full van wrap for Men in Kilts definitely accomplishes all of that! Having wrapped multiple vehicles for them, it's evident that they to see the value and return on investment.